Hey everyone, hope you’re doing well this mid-February day. Because of how the days fell this month, it feels like I’m writing my monthly pages post way later than normal but it’s still only the second Monday of the month. Time is weird like that – I can’t decide if 2019 is going by too fast or not. 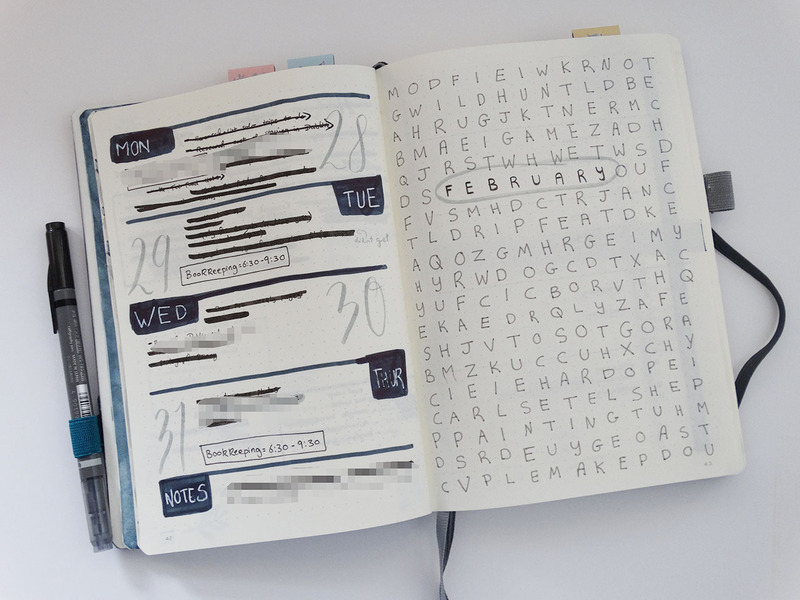 But anyway, my monthly pages – my monthly pages for February are pretty bland. I had fun with my monthly title page where I made a word search with ‘February’ circled. I’m happy with how it came out. Also, there are other random words in there so it really is a word search – I know ‘painting’ and ‘watercolour’ are somewhere there but I can’t remember what other words I put in there so have some fun looking for those? But yeah, the calendar and lists are very simple. 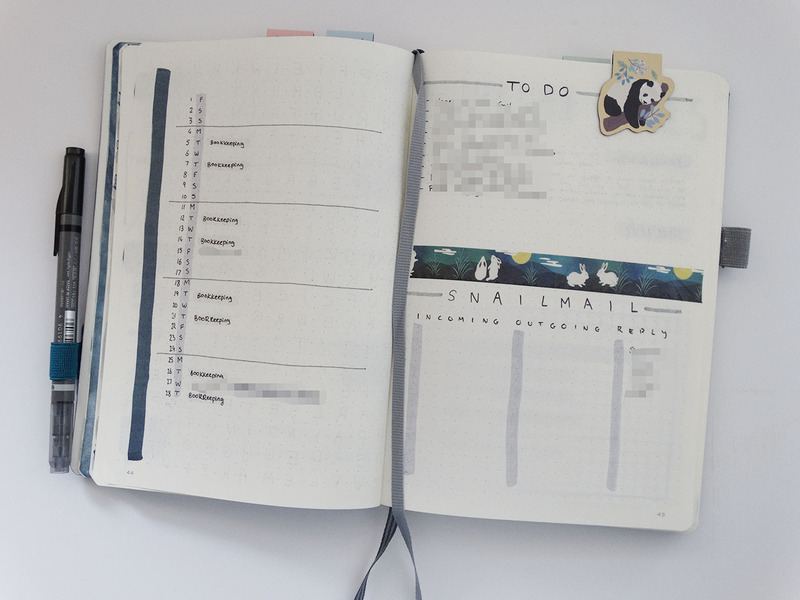 I was going to continue the wordsearch theme to these pages and started doing that but didn’t like how it looked so I used my dark blue/grey marker to cover it up (that random line to the left of the calendar). And those are the only pages I have in my monthly section. Without carrying the wordsearch theme over, it is very plain but at least functional. I like my simplified monthly sections – it’s a lot less stressful when you’re not tracking 10 different things and have 10 different lists going on. Love the word search page! That word search had to take forever! Neat idea though. Actually, didn’t take nearly as long as I thought it would!